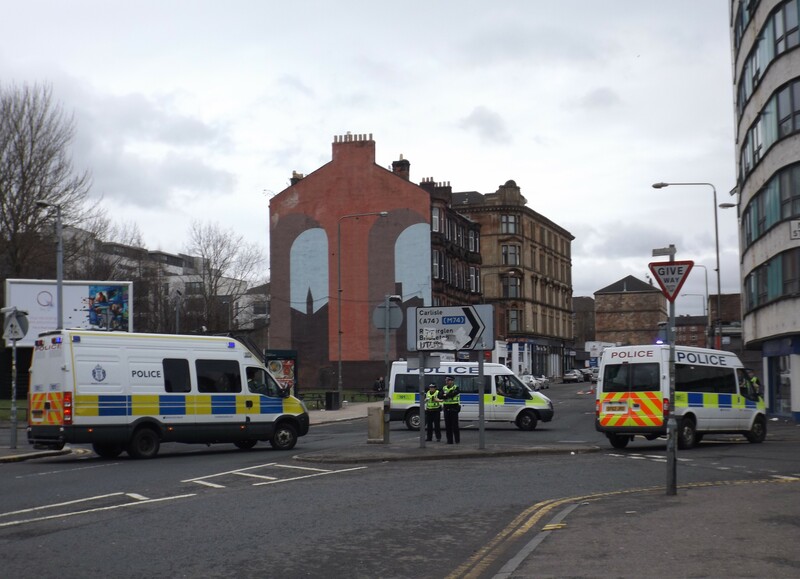 It was a familiar scene in the east end of Glasgow this morning as a”St Patrick’s Day” parade by a bunch of people who hate Ireland went ahead for the third year in a row. 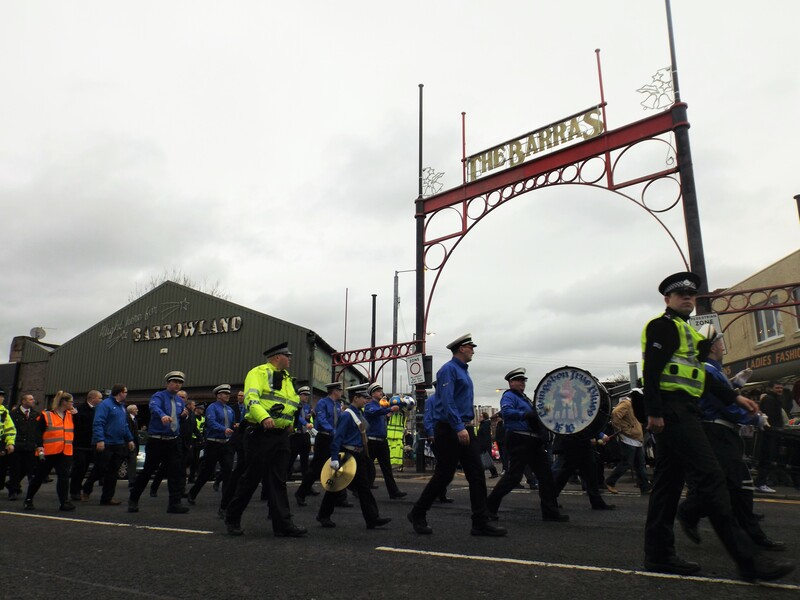 Organised by militant loyalist group the Regimental Blues, this year’s event was shrouded in controversy, with an announcement two weeks ago that the police would be rerouting the march and refuse permission for it to march past Celtic pubs on the Gallowgate. 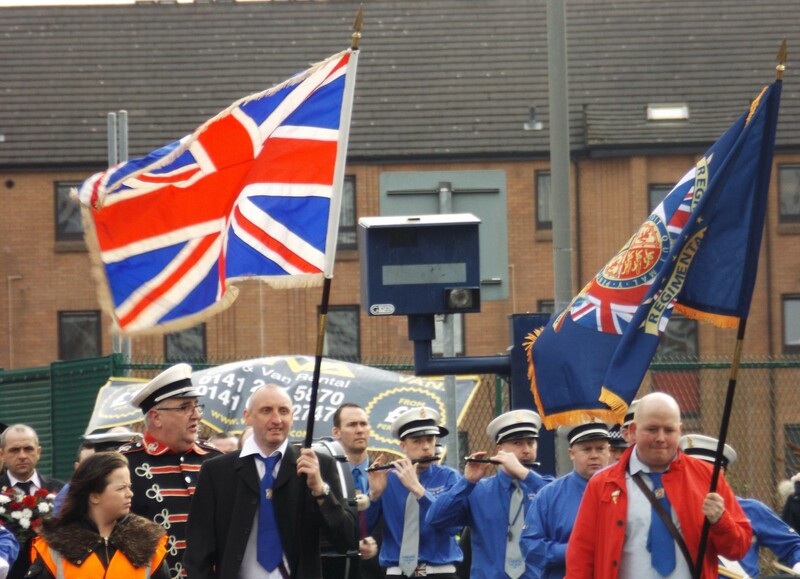 Despite having previously campaigned to have Irish tricolours banned from Scotland and made claims that their marches are designed to “cause tensions” with “terrorist supporting” Celtic fans, the Regimental Blues told the media that their parade this year would be about “promoting unity between all groups”. While the Regimental Blues may have learnt to adopt more concilitary language than the days when they were putting in applications to march down the Gallowgate to “put a burning stick in the nest” (all of three years ago), this is more of a means to an end than anything else. “You can’t have unity if some groups face restrictions and we want to work to bring those barriers down,” said the group’s organiser Kris McGurk. What bringing down the “barrier” of not being able to march along a particular stretch of street will do to progress the cause of “unity” is anyone’e guess. Sadly for the Regimental Blues, and despite weeks of lurid headlines and social media uproar, barely anyone showed up at today’s march, where attendees were almost outnumbered by police. A dozen members of a flute band drafted in from Livingston helped make up the numbers but even that barely pushed attendance over 50. 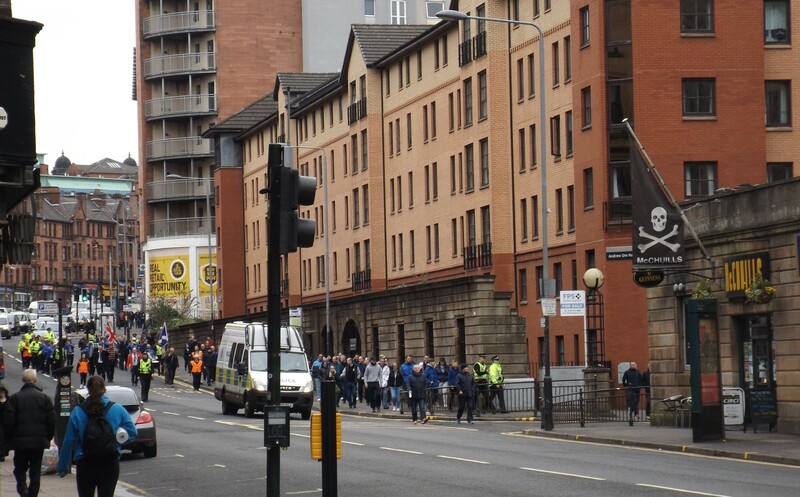 The march left from beside Bellgrove Station in mid-morning, had a brief stop in George Square, and then made its way down High Street, returning east through the Gallowgate and London Road. The rest of the world will get to celebrate St Patrick’s Day on Thursday. 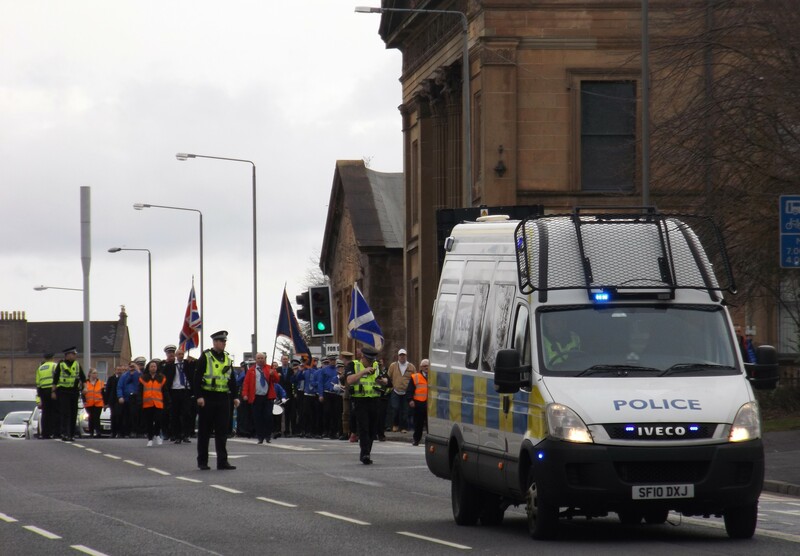 Glasgow – a city with one of the largest Irish diasporas in the world – has already had its fun, with a few dozen miserable loyalists marching along behind a union jack through an area of the city where no one wants them. ← Will The Barras survive regeneration?